The Ebonyi State chapter of the Indigenous People of Biafra, IPOB, has said President Muhammadu Buhari’s order to the service chiefs was divisive. President Buhari had yesterday met with service chiefs and ordered them to ensure Nigeria remains an entity. IPOB noted that the order did not address issues necessary for national unity and development. 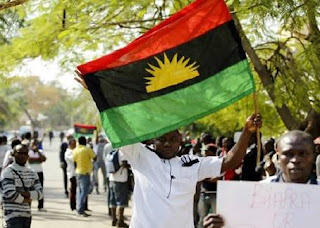 In a statement in Abakaliki, the state capital, the Deputy Coordinator of IPOB in the state, Ugochukwu Nweke, said the group’s activities were legal. According to him, “What IPOB is doing is legal and we are not afraid. “The President should address Boko Haram in the North-East, the unfortunate quit notice by the Arewa youths. “How to boost the economy and the welfare of citizens in Nigeria.